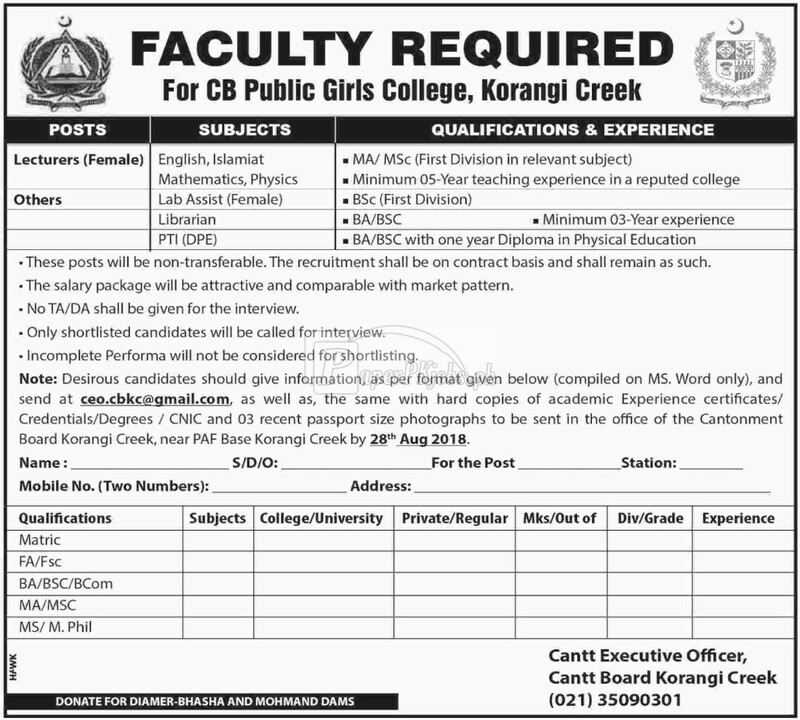 CB Public Girls College Korangi Creek intends to fill positions of Lecturers for the subjects of English, Islamiat, Mathematics and Physics. Furthermore, the posts of Lab Assistant, Librarian and PTI are also lying vacant. The candidates interested in vacant posts are informed that the posts will be non-transferable. The said positions are on contract basis and shall remain as such. The selected candidates will be offered attractive salary package along with fringe benefits. 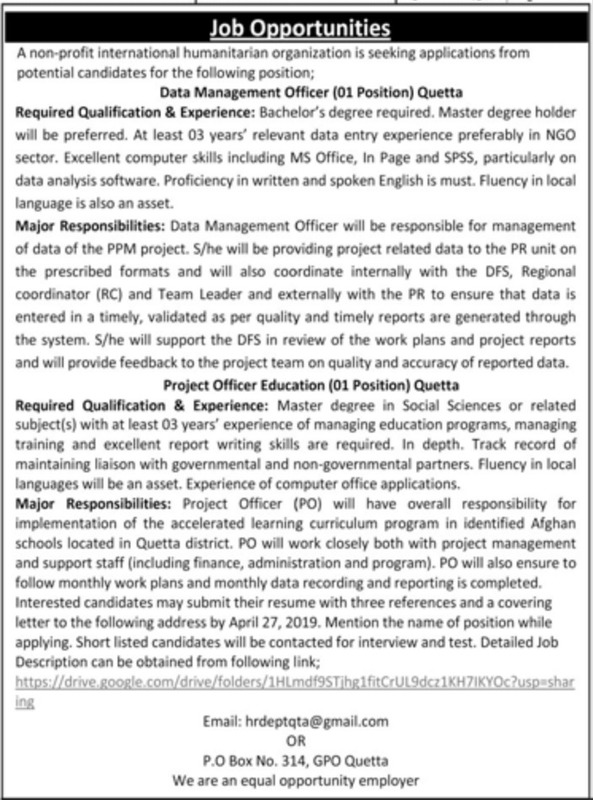 The candidates who intend to apply should give information as per format given in the job advertisement and forward their applications by 28th August 2018.
with complete details are available here for desirous individuals. The is offering the jobs which belong to . The working hours are as per routine i.e. 8 hours a day and 40 hours a week. The job location is . The persons meeting the requirement of vacant post(s) may enjoy salary of . The most important thing is that the applications must be complete and should receive upto . The advertisement of contains complete information about job specifications, job description etc. which is published in dated August 15th, 2018, Wednesday.